Nick Sifuentes was stuck in traffic. 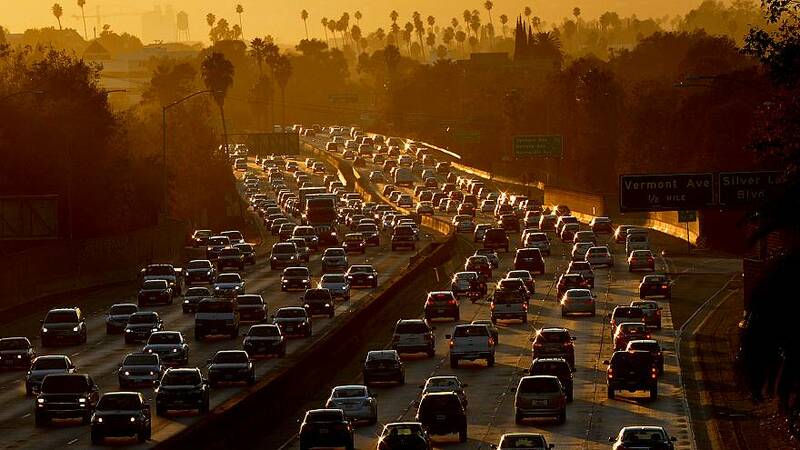 "Driving into the most transit dense area in the U.S., that's a choice people make. I made that choice today and I'm regretting it," the executive director of the Tri-State Transit Commission (TSTC) told NBC News as he made his way into the New York City last week. But Sifuentes takes his remorse one step further than average commuter. "I should pay for my choice," he said. Sifuentes means pay in the literal sense. He and the TSTC want New York City to implement congestion pricing on their roadways. If implemented, drivers on some of the busiest roads in Manhattan during peak hours would have to pay a surcharge; roads that usually are free would become toll roads. First adopted by Singapore in 1975, congestion pricing has slowly become a go-to solution for cities plagued by heavy traffic, and has since been successfully adopted in Stockholm, London, and Milan. "The basic idea is that you use tolls for the specific purpose of reducing traffic congestion," Michael Manville, an urban planning professor at UCLA, told NBC News. "The last 5 percent of vehicles on the road account for a disproportionate share of the delay all cars feel," Manville said. "If you can find a way to deter a small proportion of vehicles, you get a big improvement in speed and big increase in flow." And it turns out charging people more to drive helps shave off the last 5 percent. Manville says congestion pricing has been shown to ease traffic, make highways flow faster, and free up side streets. "It's a very sensible policy," he said. "Congestion is a shortage of road. When you see a shortage, one thing you should look for is a price that's too low." The proven success of congestion pricing is why cities like New York, Los Angeles, Seattle, and Boston — the 8th most congested city in the world — have all toyed with the idea. In New York, Governor Cuomo and NYC Mayor Bill de Blasio recently announced they want to implement the policy by 2020, and Seattle's Mayor Jenny Durkan is seriously considering the policy. Sifuentes is actually excited about the prospect of being charged for his drives into New York City, and sees benefits of the policy beyond clearing up the roads. Chiefly, he wants to use it to fund mass transit. In New York, revenue from congestion pricing would go towards the city's infamously ailing subway system. In L.A., the city wants to use the traffic tolls to help fund a slew of infrastructure projects before it hosts the 2028 Summer Olympics and to subsidize fares on its trains and buses. Even more, Manville says that vehicles stuck in traffic emit more pollutants than those moving at a free flow. According to the National Bureau of Economic Research, after congestion pricing became the law of the land in Stockholm, childhood asthma cases decreasedby nearly 50 percent. Despite its proven success, congestion pricing is a hard sell for politicians. "People don't get excited about a program that involves imposing transparent costs on a majority of voters," Manville said. In New York, a form of congestion pricing was proposed in the 70s, and Michael Bloomberg tried and failed it implement it as mayor. Some critics oppose the idea simply because they don't want additional taxes; others worry it will increase inequality. L.A. County Supervisor Hilda L. Solis takes a more moderate approach. She doesn't think solving the city's traffic issues is as easy as implementing congestion pricing. If adopted, Solis said in a statement that congestion pricing must be supported by "an underlying equity framework." In a city where residents are so dependent on driving, her office fears low-income, immigrant, and communities of color could bear the brunt of the policy. "All aspects of any congestion pricing study must include a full examination of equity impacts and mitigation," she said. Similar concerns are shared by Seattle residents. A 2009 study looked at the effect congestion pricing would have in the Puget Sound region. In one hypothetical situation, the study suggested after implementation, "a poor household could pay up to 15 percent of its income on tolls." Robert Krol, a professor of economics at Cal State University and a scholar at the Mercatus Center, acknowledges that congestion pricing, like the fuel tax, is certainly a regressive tax, meaning it's applied uniformly and therefore takes a larger percentage of income from low-income drivers. "If you just pile on congestion tolls on top of the fuel taxes, politically that's a tough sell," Krol said, adding that "we don't want to underestimate the administrative costs of trying to set these things up." Still, Krol maintains that "the only way we are going to manage congestion is using a tolling system." Even with the cost of the tax, "the cost of congestion is higher," he said. Sifuentes believes there's a simple response to congestion pricing's critics. "When London and Stockholm adopted congestion pricing, they also made sure to increase bus service at the same time," he said. "If your going to charge people, that's fair. But people need good [transit] options too." Manville says it's about changing people's mindsets and making them think twice before taking unnecessary car rides. "We are so used to the road being free," he said. "If your water wasn't metered, you might take a longer shower, even if it wasn't that important to you."